Obituary for Julia (Lawry) Agel | Bayonne Memorial Home, Inc.
Julia Agel (nee: Lawry), 95, passed away peacefully at her residence on Friday, November 16, 2018. She was born in Bayonne and was a lifelong resident and a homemaker. She was a member of the Exxon Annuitants and the Young at Hearts. She was predeceased by her beloved husband, Charles Agel in 1988; and her dear siblings, Marie Massarelli and Lucas Draganchuk. 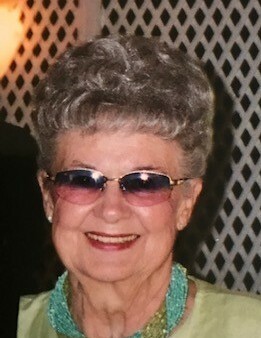 Mrs. Agel is survived by her loving children, Charles Agel, Andrea Orwick, Christine Gerbino and Juliana Sipes; her dear sister, Nora Cuseglio; three cherished grandchildren; and one adoring great grandchild. The funeral will be conducted by Bayonne Memorial Home, Inc. on Tuesday, November 20, 2018. A funeral Liturgy will take place at the Assumption of the Blessed Virgin Mary Ukrainian Catholic Church at 10:00 a.m. Visitation will take place at the funeral home from 8:30 to 9:30 prior to the Liturgy. Interment will follow at Holy Cross Cemetery, North Arlington.